Should Herbalism Be a Recognized Specialty in Veterinary Medicine? As regular readers will know, herbal medicine is the area within complementary and alternative medicine I am most sympathetic to. Plants obviously contain chemical compounds that can have significant physiologic effects, for good or ill. And many conventional medicine have been derived from such plant compounds. The idea, then, that the medicinal use of plants and plant-derived substances might have real value is plausible, even likely, in my opinion. So far, very few uses of herbal remedies have been scientifically validated (as distinct from isolated and purified compounds derived from plants and used as drugs). However, I believe there is significant potential in plants as sources of medicines, and I support rigorous scientific research in this area. Unfortunately, herbal medicine as a discipline is often not focused on scientific evaluation of the potential risks and benefits of herbal remedies. Instead, it tends to be uncritically accepting of truly alternative theories about health and disease and of traditional or anecdotal evidence alone as the foundation for the selection and use of plant products as medicines. Traditional Chinese Medicine (TCM or TCVM for the veterinary variety), the Indian folk tradition of Ayurveda, and other dominant approaches in herbalism often reject scientific principles or evidence in favor of mystical folk models of health and disease, and such herbalists often view scientific evidence only as a tool for gaining wider acceptance of their practices, not for determining which are effective and safe and which are not. As is true in so many areas of CAVM, herbal medicine practitioners tend to find science useful only insofar as it supports their beliefs, but they tend to reject negative findings or the failure to find good evidence for their practices and persist in these beliefs and practices based on personal experience, tradition, and anecdote regardless of what science says. There are also other serious problems with the area of herbal medicine as it currently exists. There is virtually no regulation and very little scientific investigation of herbal products. When sampled, many herbal products turn out not to contain what they are supposed to contain, and contamination with toxic heavy metals, potentially poisonous plant chemicals, and even conventional pharmaceuticals appears to be common (1, 2, 3, 4, 5). There is evidence that these unregulated and untested remedies cause significant injury and illness (6, 7, 8). So while I think there is significant medical potential in plants and their incredible array of natural compounds, the herbal medicine industry (and make no mistake, it is a multi-billion dollar industry: 9, 10) as it currently exists is largely unscientific and insufficiently regulated and herbal remedies and supplements have very few proven benefits and some serious risks. The unfortunate tendency of herbalists is to rely on tradition, anecdote, and unscientific folk theories about health to guide their use of untested plant remedies and to utilize science primarily as a marketing tool rather than a necessary means of developing safe and effective herbal treatments. There are certainly individual exceptions, but this is the general character of the industry. I was therefore both interested and concerned when I recently learned that the American College of Veterinary Botanical Medicine (ACVBM) is in the process of seeking recognition as a veterinary specialty organization. The American Board of Veterinary Specialties (ABVS) is the unit of the American Veterinary Medical Association (AVMA) that recognizes areas of specialization in veterinary medicine and the organizations that certify individual veterinarians as specialists in these areas. Similar organizations perform his function in other countries (such as the European Board of Veterinary Specialisation (EBVS) Australasian Veterinary Boards Council (AVBC)) and in human medicine (e.g. American Board of Medical Specialties and the European Union of Medical Specialties). What is a Medical Specialty? The purpose of official recognition for medical specialties is so that patients and pet owners can know which clinicians are likely to have a high-level of training or expertise in a particular medical area. In human medicine, specialists are often very highly focused on narrow subjects. After more than a decade of education and training, for example, surgeons may only perform a few procedures on one part of the body. While there are some problems with excessive specialization, it is clear that medicine is far too large a body of information, tools, and techniques for any one person to master it all. Specialists do fewer things, and they tend to do them better than more generally trained and experienced doctors. In veterinary medicine, specialization is less common than in human medicine due to economic factors. Because specialists, and their additional training and experience, are more expensive than general practice vets, many vets without board certification in a specialty will still commonly work in areas that have recognized specialists. I do cardiac ultrasounds, treat cancer with chemotherapy, perform a wide range of surgical procedures, and manage chronic skin conditions despite the fact that there are recognized specialists in the areas of veterinary cardiology, oncology, surgery, and dermatology. There are pros and cons to choosing a specialist or a generalist to treat your pet for particular health issues, but there is no question that specialists have deeper knowledge and greater experience and expertise in their specialty disciplines than I or other general practitioners have. The concept of expertise is, unfortunately, under some attack generally these days, especially in the U.S. (e.g. 11) There seems to be a feeling that anyone can be an expert, or declare themselves to be, by virtue of their independent study or experience without going through a recognized educational and training program. This applies more in areas in which the subject and outcomes are not clear and distinct. Few people would attempt to fly a jet or perform open heart surgery without the appropriate specialized training because the consequences of inadequate skill and expertise are obvious and dramatic. However, people with little or known scientific or medical training often feel equipped to doubt or deny the consensus among true specialists in areas like climate change or medicine. In CAVM, the concept of specialization is especially problematic in a different sort of way. Homeopaths, Chinese Medicine vets, even psychics and astrologers will often declare themselves to be “experts” in their fields and deny the legitimacy of criticism from others, regardless of the credentials of critics or the evidence presented, if their critics do not have the same training and experience in these fields. However, if homeopathy and TCVM are just sets of made-up ideas without scientific validity, what is the value of expertise in these subjects? The analogy I often use is that of the Catholic priest as an expert in Catholicism. There is no question a priest has superior knowledge and experience in the details of the Catholic faith, so in some sense he is an expert. However, if you are a Jew or a Muslim or an atheist, this expertise is not very meaningful, and it is unlikely to convince you that the priest is right about the details of religious controversies. Similarly, while I agree homeopaths know more about homeopathy than I do, I know enough to understand the subject of their expertise is an unscientific fantasy, so I have no obligation to defer to their views on the controversies about it. Should Herbalism Be a Recognized Veterinary Specialty? All of this is intended to provide a context for answering the question, “Should herbalism be recognized as a veterinary medical specialty?” This has to be answered both generally and in terms of the specific application of the ACVBM for recognition as a specialty organization by the ABVS. In general terms, I think specialty status for herbal medicine is not warranted because the evidence base for the area is too limited and it is still plagued with deep-rooted unscientific concepts and practices. In theory, such an area could be a legitimate scientific specialty if the attitude towards science changes and the evidence base is properly developed, but that is not yet the case. No herbalism specialty is recognized in human medicine or veterinary medicine in the US, Europe, or Australia, which would make recognition of the ACVBM unprecedented. In terms of the specific application, it is clear after reading it and investigating the provenance and the leadership of this organization that recognition of the ACVBM as a specialty organization would be a serious mistake. I will discuss why in detail below, but this organization is dominated by TCVM vets and key figures in the American Holistic Veterinary Medical Association (AHVMA), a deeply anti-science organization that promotes every imaginable alternative practice, from herbal medicine to homeopathy and faith healing. Most of the leadership practices multiple varieties of CAVM, not only herbal medicine, and many have made worrying comments about science and conventional medicine that suggest they fundamentally don’t accept the principles and practices of science-based medicine. This application is less about making herbalism a scientific specialty within veterinary medicine than it is about getting a foot in the door to obtain the AVMA’s imprimatur of mainstream legitimacy for alternative veterinary medicine of all sorts without demonstrating the truth of their theories or the safety and efficacy of their methods through sound scientific research. The AVMA American Board of Veterinary Specialties (ABVS) is the umbrella organization for veterinary specialties within the United States. It is composed of one voting representative from each of the AVMA-recognized veterinary specialty organizations, plus non-voting liaisons from the Association of American Veterinary Medical Colleges and the AVMA Council on Education. Demonstrate that improved veterinary medical services will be provided to the public. Serve a clearly defined need within the profession. Let’s take a look at the ACVBM application and some of the problems and questions it raises, including the extent to which it might or might not meet the ABVS criteria for recognition. Would Recognition Improve Veterinary Medical Services to the Public? 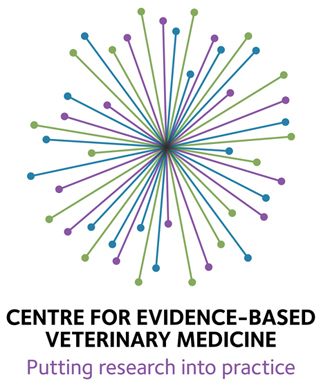 The ACVBM medicine asserts that “improved veterinary medical services” will be available to animal owners by the recognition of ACVBM based on the assumption that herbal medicine is a safe and effective tool for improving patient care. Unfortunately, this is not a scientifically demonstrated assertion. The debate about the research evidence for herbal remedies is a complex one, and the devil is in the details. There are many published research studies that appear to show benefits to herbal remedies and supplements. However, there are many published studies support the same claims for homeopathy, but a detailed examination of the literature shows that homeopathy almost certainly has no real benefits at all (12, 13). The ability to cite lots of papers does not by itself show a robust scientific support for a specific medical approach. While I have not examined the herbal literature in as much detail as that pertaining to homeopathy, I have studied the main textbook for veterinary herbal medicine and looked at many of the specific studies cited in the ACVBM application. The evidence is generally weak and inconsistent, it often does not support the claims it is cited by the ACVBM to support, and overall the body of robust, consistent scientific evidence supporting herbalism that the ACVBM claims does not exist. There is good evidence for a few specific remedies used for a few specific conditions. But there is no evidence to support most of the theoretical foundations on which most herbalists rely. TCVM as a diagnostic and therapeutic system, the concept of “tonics,” the general principle that mixtures of plant compounds given in raw form are safer and more effective than isolated compounds used as drugs, and many other key concepts herbalists rely on run counter to established science or are, at best, unproven beliefs. So the claim that giving greater legitimacy to the group would enhance the care provided to the public rests on shaky ground. You cannot improve care by calling pseudoscience a specialty, and much of the popular approach to herbalism, especially the dominant approach of TCVM, is pseudoscience. Is Herbalism Supported by Scientific Knowledge and Practice? I have already answered this question to a certain extent. There is much scientific evidence relating to specific compounds or remedies, but the vast majority of herbal remedies remain untested outside of lab animals. And the concepts upon which diagnosis and prescribing by herbalists rests are not only not yet validated but typically inconsistent with a scientific understanding of health and disease. However, I want to explore in more detail why the claims to a scientific approach made in the ACVBM application appear disingenuous and generally untrue. For one thing, the ACVBM claims it would become the specialty responsible for pharmacognosy, the practice of identifying medicinal compounds in plants. This is currently the domain of pharmacology, a recognized specialty area (under the American College of Clinical Pharmacology (ACCP)). The organization also claims it should take over the use of plant-based remedies and supplements for their nutritional effects, an area currently thought to fall in the territory of the American College of Veterinary Nutrition (ACVN). Finally, they claim that their diplomates would be in a better position than specialists in these areas or than diplomates of the American Board of Veterinary Toxicology (ABVT) to recognize and manage the potential toxic effects of plant remedies and their interactions with conventional medicine. However, while botanical medicine overlaps many other specialties, the depth of knowledge required of a specialist in phytopharmacology and phytomedicine is not covered by any of these. Even the pharmacology College, which might be the closest relation of all the specialties, would concentrate on only a subset of the mechanisms by which herbs work. There are tens of thousands of medicinal plants described in the herbal medicine literature, likely overshadowing the conventional drug pharmacopeia by orders of magnitude. Pharmacology focuses on isolation of a single constituent to characterize and use therapeutically. By contrast, herbalists advocate for the complex actions initiated when a plant or plant extract containing hundreds of compounds – both nutritional and pharmacologic – are in play. American College of Veterinary Clinical Pharmacology: An important basis of herbal medicine is the pharmacology and mechanisms of actions of plants and plant extracts, however they differ from drugs in their complexity, and in the underlying ethnomedical knowledge base used to prescribe them.. The botanical medicine diplomate can provide context to client and referring veterinarian inquiries, both ethnobotanical and scientific. American College of Veterinary Nutrition: Functional foods including herbal medicines are being employed in therapeutic diets and products in veterinary medicine. The herbal medicine diplomate will be able to advise on suitable herbs to meet therapeutic needs in product development in the pet food industry and also provide advice on the addition of herbs to diet plans and critical care nutrition to benefit the patient therapeutically. American Board of Veterinary Toxicology: Toxicologists are familiar with toxic principles of plants. Many of the plants that are considered toxic by toxicologists are also considered therapeutic by botanical medicine specialists, who are necessary to provide this complementary information on plant use and abuse. Herbal medicine specialists will be more informed on dosing that “makes the medicine or the poison”. It is clear from the application itself, and even more so from the personnel composing the organizing committee of the ACVBM, that the dominant approach which will be promoted by this group as a specialty board will be TCM. Nearly all of the members of the organizing committee have an affiliation with the Chi Institute, a private school teaching Chinese Veterinary Medicine, include Dr. Husheng Xie, the founder of this company. Most have studied TCVM there, and many are instructors in this method. All but three explicitly advertise their use of TCVM in their own practice. There is no question that TCVM is the foundation for herbal prescribing favored by the leadership of the ACVBM, and it is specifically mentioned several times in the descriptions of the subject matter potential diplomate will need to master. This is much of what is meant by “traditional knowledge” in the ACVBM document. The problem with this is that TCM is an alternative system for understanding health and disease which is entirely independent from, and inconsistent with, the scientific understanding. It views disease as arising from imbalances of mystical forces, such as Chi or Yin and Yang, and metaphorical humors such as Wind, Damp, Heat, and so on. Diagnoses such as “rebellious Chi” or “Excess Wind” are made based on behavioral and historical information, tongue color and texture, pulse quality, and other unvalidated traditional means. These diagnoses are then used to guide acupuncture treatment and the use of herbs, which are categorized in their effects by taste, appearance, and historical use rather than any scientific analysis of their components or physiologic effects. TCVM is not a specialty area within scientific veterinary medicine, it is an alternative to it. It would make no sense to legitimize this practice by calling it Veterinary Botanical Medicine. There are, of course, other herbalist approaches represented in the leadership of the ACVBM. Some also promote Western Herbalism, and this is mention along with Chinese medicine in the application. However, this is simply a different, but equally unscientific, set of folk traditions about the use of plants to treat disease, and again not a scientifically legitimate therapeutic approach. Some members of the committee do also advocate a conventional scientific understanding of plants as potential medicine, but even they rely primarily on traditional means of selecting and using herbal remedies, viewing science as following rather than leading the way in developing herbal medicine. The background, writings, and practices of the members of the ACVBM organizing committee quickly makes it clear that this effort involves more than strictly herbal medicine. As I mentioned, almost all of the members practice acupuncture and Chinese Medicine generally, not simply the use of Chinese herbal products. Nearly all of them are also members of the American Holistic Veterinary Medicine Association (AHVMA). This organization promotes all CAVM practices, not only herbal medicine, and they have been on the forefront of defending and promoting homeopathy, energy medicine, faith healing, and many other pseudoscientific or unscientific practices. Many are also affiliated with the College of Integrative Veterinary Therapies (CIVT), which teaches courses not only in Chinese and Western folk herbalism but acupuncture, alternative nutrition, homeopathy and homotoxicology, and other alternative approaches. A majority even list homeopathy as part of their practice. These are not merely individuals with expertise in botanical medicine but committed advocates and practitioners of a wide range of alternative and unscientific methods. Finally, in their teaching and advocacy of alternative therapies, a number of the leaders of the ACVBM have expressed views about science or scientific veterinary medicine that appear to contradict the claim of the ACVBM application that scientific evaluation and use of herbal remedies will be a focus of the group. I have listed the members of the committee, some of their professional affiliations, some of the CAVM methods they advocate, and some of the comments they have made that should concern the ABVS. I don’t mean to suggest that these individuals are not smart, educated, caring veterinarians, as they most certainly are. However, I believe they share an ideological approach to veterinary medicine that is at odds with science and, therefore, ultimately not in the best interests of patients or the profession. I also believe that their purpose in seeking specialty recognition for the ACVBM is to obtain the appearance of a scientific legitimacy to herbal medicine, and to a wider array of alternative medicine practices, that has not been earned through rigorous scientific evaluation. I believe there is great potential in plants and plant-derived compounds to provide safe and effective medicines for veterinary patients. However, current dominant views and practices in herbal veterinary medicine, especially those from the folk traditions of Traditional Chinese Medicine, Ayurveda, and traditional Western herbalism, are unproven and frequently unscientific. Herbal remedies are frequently mislabeled or contaminated with potentially harmful ingredients, and without greater research and regulation, they are unpredictable and sometimes dangerous to patients. 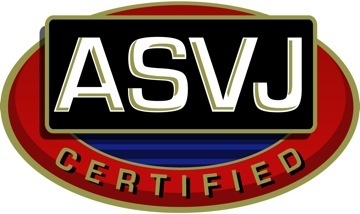 The ACVBM is led by a group of veterinarians with a long history of supporting and advocating alternative medicine generally, not only herbal medicine. Many belong to the AHVMA, practice homeopathy or other unscientific and unproven or clearly ineffective therapies, and several have expressed views about science and conventional medicine inconsistent with status as board-certified veterinary specialists. There are members who I believe have a genuine commitment to scientific evaluation of herbal remedies, but they are a small minority and they are, at the least, willing to accede to the promotion of unscientific ideas in CAVM. The recognition of ACVBM as a specialty board would be a mistake. It would create, in the eyes of other veterinarians and animal owners, the appearance of scientific legitimacy to unproven and inherently unscientific herbal medicine theories and practices. And it would undoubtedly be a foothold for the spread of even more dramatically unscientific alternative medicine practices under the color of specialized expertise. Herbalism has not been recognized as a legitimate medical specialty in human or veterinary medicine in Europe, Australia, or the United States because the evidence does not exist to validate most of the theories and practices involved. The purported expertise this certification would recognize is largely a mastery of ideas and information not consistent with nor validated by scientific methods. Scientific evaluation of plant medicine should continue as part of the normal course of medical and pharmacologic research. Below I have copied a letter I will send to the ABVS opposing recognition of the ACVBM as a specialty organization. I encourage anyone else who shares my concerns to contact the ABVS as well, and you are welcome to use any or all of the text of my letter or the information posted here. Comments from the public will be accepted until September 1, 2017. I am writing to oppose the recognition of the American College of Veterinary Botanical Medicine (ACVBM) as a veterinary specialty organization. The ACVBM does not meet the core criteria set forth by the ABVS, and recognition would not be in the best interests of animal owners nor the veterinary profession. Botanical medicine is not recognized as a medical specialty, in human or veterinary medicine, in the U.S., Europe, Australia, or most other scientifically advanced nations because the research evidence concerning herbalism and botanical remedies does not support this status. Prescribing practices are largely untested and based on folk medicine beliefs and traditions, and most herbal products are untested and un-regulated. Very few herbal therapies have been validated by the type of high-quality clinical trial evidence typically required for pharmaceutical medicines. Problems with mislabeling and contamination by toxic adulterants and pharmaceuticals is frequently reported for herbal products, with documented harm to patients. While there is great potential for medicinal use of plant-derived compounds, this potential can best be realized through pharmacognosy and other conventional forms of scientific research under the auspices of clinical pharmacology, toxicology, and other existing medical specialties. The primary distinction the ACVBM offers between its approach and current conventional research and application of herbal remedies is the use of “traditional knowledge” to guide herbal prescribing. This means that the theories and practices of folk medicine traditions are considered sufficient to guide the use of herbal medicines, even when controlled research evidence is unavailable or contradicts traditional theory and practice. Almost none of this “traditional knowledge” has been validated by controlled research, and much of it is incompatible with established scientific principles and knowledge. Illustrating the reliance of the ACVBM on unscientific principles is the affiliations and practices of the members of the ACVBM Organizing Committee. Nearly all are affiliated with the Chi Institute or other Chinese Medicine organizations, and most are practitioners of Traditional Chinese Medicine (TCM). TCM is an alternative system for understanding health and disease which is entirely independent from, and inconsistent with, science-based medicine. It views disease as arising from imbalances of mystical forces, such as Chi or Yin and Yang, and metaphorical humors such as Wind, Damp, Heat, and so on. Diagnoses such as “Rebellious Chi” or “Excess Wind” are made based on behavioral and historical information, tongue color and texture, pulse quality, and other traditional means. These diagnoses are then used to guide the use of herbal products, which are categorized in their effects by taste, appearance, and historical use rather than any scientific analysis of their components or physiologic effects. TCVM is not a specialty area within scientific veterinary medicine, it is an alternative to it. Recognizing the ACVBM would effectively identify TCM herbalism as a legitimate scientific medical practice without appropriate evidence to support this status. Additionally, a majority of the ACVBM leadership is also affiliated with the American Holistic Veterinary Medical Association (AHVMA), and many have served in the leadership of this group. The AHVMA promotes and defends every type of alternative medicine, from herbalism and acupuncture to homeopathy and faith healing. Most of the Organizing Committee members promote or utilize numerous alternative therapies other than herbal medicine, and many have been publicly critical of conventional and evidence-based medicine and have recommended greater reliance on traditional knowledge and personal experience. These views do not support a rigorous scientific standard for developing safe and effective therapies and would not promote more evidence-based and higher-quality patient care. The best way to develop the potential of plant-based medicines is to continue rigorous scientific research into herbal remedies, based on established scientific principles and methods. This progress can best be accomplished through the existing veterinary specialty areas. Traditional use may suggest testable hypotheses, but it is not a reliable guide for prescribing. Recognition of the ACVBM would be counterproductive in encouraging folk medicine-based approaches and in giving the ABVS imprimatur of scientific legitimacy to theories and practices which do not merit it. This would mislead veterinarians and animal owners and encourage the promotion of unscientific alternative practices. In a CE lecture, Dr. Cantwell suggests that “clinical wisdom” is ahead of science and sufficient to act on while we watch for science to catch up to our knowledge. “A short listing of CAVM groupings with specific some examples follow: food therapy – preventive nutrition, therapeutic nutrition, glandular therapy and orthomolecular medicine; manual therapy – massage, acupressure, acupuncture, osteopathy, chiropractic, and physical therapy; biological therapy – hyper-immune plasma, hyper-immune eggs, serum therapy, bee sting therapy, and pharmaceutically reared leeches and maggots; botanical therapy – western herbal medicine, traditional Chinese medicine, essential oils and aromatherapy; energy medicine – Christian laying-on of hands, classical homeopathy, homotoxicology, Bach flower remedies and non-traditional homeopathy. This is not a complete list of course and there are combinations of treatment, like injecting homeopathic remedies at acupuncture points. Comments- Dr. Wynn seems to be one of the few members who seems to have a consistent and real regard for the value of scientific evaluation of alternative therapies, including herbal medicine, though she still gives significant deference to traditional practices. Here are a couple of examples from Dr. Xie’s TCVM textbook illustrating how the method is used to guide diagnosis and prescribing. History and Physical Findings: From a Western perspective, the dog has all the signs of separation anxiety. Acupuncture treatment did not help much. She has been on the herbal formula Long Dan Xie Gan Wan for signs of Liver Stagnation. Her tongue is slightly red and dry and her gums are tacky. Her eyes are red. Her pulses are thready and fast. Assessment: This is a Yin Deficiency Pattern (Deficient Heat), specifically a Heart Yin Deficiency pattern. The Yin Deficiency can be determined from the red, dry tongue (Heat signs) and the thready and fast pulse. The association with the Heart is based on the major complaint of separation anxiety because this is due to a Shen (Spirit or Mind) disturbance. Of the five Yin organs, the Heart is the one that houses the Shen. Separation anxiety and other behavior problems are mostly related to the Heart. The treatment strategy is to balance Yin and Yang by enhancing Yin. The acupuncture points An Shen, HT-7, Da Feng Men, and KID-3 as well as the herbal formula Shen Calmer (Modified Tian Wan Bu Xin Dan) are recommended for this case. Signalment: A thirteen year old female spayed American Eskimo dog. a. Cushing’s disease which has been treated with Mitotane for the past four years. Seizures which began last month and clustered about once a week. Generalized stiffness with weak hind end. There is no limping, but the dog’s gait is very stiff. The dog takes three to four steps then huffs and puffs and lies down. Generalized lethargy, weakness, lack of energy. Assessment: This can be considered a Deficient Heat (Yin Deficiency) condition, with a Qi Deficiency and Internal Wind. The old age, weakness, urinary incontinence and lethargy indicate a Qi Deficiency. The fast pulse, thirst, ravenous appetite, constant panting and foul smelling stool can indicate Heat. Seizures are caused by Internal Wind. The treatment strategy is to use acupuncture to balance Yin and Yang by enhancing Yin and clearing the Wind. In addition, acupuncture can be used for the stiffnedd while using Chinese Herbal medicine for the internal organ problems. Acupuncture points such as GB-20, LIV-3 and GV-20 may be beneficial for the seizures (Wind). The points KID-3 and SP-6 may be beneficial for Yin. Two herbal formulas may be beneficial: Tian Ma Gou Teng Yin for Internal Wind and Suo Quan Wan for incontinence and Kidney Qi Deficiency. Other CAVM Methods- homotoxicology/homeopathy; As leader of the AHVMA, Dr. Scanlan vigorously opposed the AVMA HOD resolution identifying homeopathy as unscientific and ineffective. Dr. Palmquist often comments on the relationship between tradition, experience, faith, and science, and he makes little distinction between them other than to sometimes suggest scienceis the least useful. Dr. Colitz has been involved in the development of Ocul-glo, one of the few herbal/nutritional supplements in the veterinary market that has good quality evidence for its effectiveness. Like Dr. Wynn, her approach seems to be more consistent with good scientific practice. However, she has also allowed her name to be associated with comments like those below, in articles from the Integrative Veterinary Care Journal which were co-authored by Dr. Colitz. 16 Responses to Should Herbalism Be a Recognized Specialty in Veterinary Medicine? Perfect, timely, so important. Skeptvet, you provide a vital service to the veterinary community. Kudos! That’s a long letter. 🙂 If the guys who now control the avma really think a specialty degree in herbalism is needed they should require specialty degree in pharmacology first and make the herbalism a subspecialty. Are the acupuncture vets asking for their own board? I’ve heard rumors about other CAVM groups looking at applying for specialty status, but I don’t know for sure. why not the cruciate, meniscus and vertebral disc surgeons? Now there’s some specialty groups that would be interesting to have. All the doctors who send out annual check up reminders to all their patients could start a yearly examiner specialty? I would love to see what these doctors list as the the body of evidence that created their specialty. Really, how can anyone take this seriously? If this proposal goes through it will be for reasons of political correctness only – marketing, not merit; spin, not science; and it is the animal patients who suffer. As you’ve said, the concept of western herbalism is being used as a front in a bait and switch operation to try to open the way for any modality a VS choses to practice. This is exactly the reason the British Veterinary Voodoo Society was first launched, to counter a bid from the vet homs for speciality status within the BVA on the basis voodoo has exactly the same amount of firm, scientific evidence as homeopathy does! Good luck with this, SkeptVet. I am a practicing small animal veterinarian in upstate New York with 30 years experience. I have been an AVMA member since I was in veterinary college. I love science, the scientific method, and all it has given to both medicine and our lives in general. I have grave concerns about the recognition of the American College of Veterinary Botanical Medicine (ACVBM) as a veterinary specialty organization. This organization does not meet the core criteria set forth by the ABVS and would set a dangerous precedent for our profession and our professional legitimacy. I am proud that our profession is mostly a science based profession. Yes, some dabble in “alternative medicine” but it has (so far) not been given legitimacy by our professional organizations. That is a good thing. It keeps in check those that practice “alternative medicine” as this form of practice is not based on good science, good evidence, or good quality control. In regards to “Botanical Medicine” aka traditional Chinese herbal medicine, there is little to no scientific basis for the use of these concoctions. There is no regulation or quality control of the herbal preparations that are prescribed. There are often cases of toxicity from ingredients in the preparations not listed on the labels. The practice of TCM and other “alternative medicine” practices falls more under the umbrella of a faith based belief systems than science. I fear that legitimizing this area of “alternative medicine” will give those “believers” ammunition to prop up their practicing habits and seek MORE professional recognition of what they believe. This would not only be an embarrassment and blemish on our profession in my eyes (and the eyes of many other scientists), but would roll back our scientific and professional reputations, to be seen by some as “snake oil” salesmen and New Age hacks. Our country is in dangerous times with many of its top leaders as science deniers trying to legitimize their agendas by striking out against science and reason. Please, please, please let us not follow suit with this decline by recognizing ACVBM as a legitimate veterinary specialty organization. I think the petition from the ACVBM speaks for itself; anyone who has an uninformed opinion, is just that, an opinion; not factual. Please read the entire petition on http://www.acvbm.org. Herbal medicine is the basis for pharmacology; not the other way around; pharmacology is a sub-set of herbal medicine. Herbal medicine is crucial in today’s world; it addresses antibiotic resistant, a world health issue, is vital in the treatment for our organic food animals; can treat viral diseases, and has complex phytochemicals which are supportive for our cancer and auto-immune patients. The study of this medicine is a specialty and is very deserving of that recognition. Please read the petition and come to your our conclusion. “Uninfomed” here is a substitute for “a conclusion I disagree with.” I’ve read not only the petition but all of the small animal papers cited, and I have studied the Fougere/Wynn herbal medicine textbook at length. I stand by my conclusion that the existing scientific evidence validates a few specific herbal remedies for particular indications and none of the TCM or other folk theories you and your group rely so much on for prescribing. The notion that pharmacology is a subset of the herbal medicine makes as much sense as saying astrophysics is a subset of astrology. Pharmacology involves a scientific understanding of chemical compounds and their biological effects. It rests on a foundation of physics, chemistry, and physiology and adheres to scientific standards of evidence. The fact that many of the compounds it studies and which eventually become medicines originate in plants doesn’t make scientific pharmacology a domain of folk-medicine like TCM or Ayurveda just because they utilize plants according to an entirely unrelated theoretical system. The petition itself distinguishes herbal medicine from clinical pharmacology by emphasizing the importance of “traditional knowledge” as a guide for prescribing in herbal medicine. This is simply a way of legitimizing unscientific folk medicine theories as equivalent or superior to scientific methods for evaluating and taking advantage of the therapeutic potential of plant compounds. Not exactly a glowing recommendation. It certainly does NOT support the ACVBM’s position. I perused many of the names on the ACVBM organizing committee and was not surprised to see than a good number of them are actively involved in educating veterinarians in methods x,y, and z. As in, being in the business of selling alternative education. Something to consider when wondering about motives and such. Or like saying chemistry started as alchemy. Historically has roots in truth but doesn’t mean that all chemistry is a subset of turning lead into gold…. There has been a lot of discussion about this on the ACVECC and ACVIM listserves. I appreciate the opportunity to offer my views and opinions on the recent petition for specialty status by the American College of Veterinary Botanical Medicine. After reviewing the petition and the supporting documentation I cannot condone and must vocally oppose the inclusion of the ACVBM in the AVMA ABVS pantheon. I feel it lacks the solid scientific basis that should underlie any recognized specialty area. While scant supporting evidence is presented in the petition, most of the studies are reviews, underpowered, retrospective or simply descriptions of possible effects, not the gold standard that defines safety and efficacy: randomized controlled trials. The herbalist community itself states that: “There is no adequate data about toxic herbs, toxic target organs, safe dose range, safety window of effective dose, and minimum toxic dose.”( Zhang J et al The Safety of Herbal Medicine: From Prejudice to Evidence Evidence-Based Complementary and Alternative Medicine Volume 2015). I also believe this statement, from the ACVBM petition itself, crystallizes the issue: “Research may validate traditional uses”. Validate that the findings are scientifically of benefit. Then petition to form a college. I urge that this premature petition be rejected until sufficient scientific evidence exists to warrant the creation of a new specialty. Until that body of evidence exists, granting this petition will give undue, unearned and potentially dangerous validation to a field that must prove it is not pseudoscience to warrant inclusion in the AVMA AVBS. Thanks for sharing this. I couldn’t agree more! I think we already have a problem with the lack of sufficient scientific for the behavior board. They come to teach us at the required by law CE courses and promote pheromones for your dog and cat. Physical punishment was promoted at our CE fifty years ago and now the boarded behavior guys attack the training of people like the dog whisperer on tv for physical punishment. All talk and no good prospective randomized trials. thank you for your efforts Brennen. In addition to some of the disturbing comments cited above from leaders of the ACVBM, here is a recent statement from the web page of the current ACVBM president, Dr. Ihor Basko. (http://www.drbasko.com/site/support-veterinary-herbal-medicine/) Is this really the kind of viewpoint or tone that we should accept from the leadership of a specialty college? “Surprisingly there is much opposition to the college, mostly from veterinarians. It also appears that the pharmaceutical industry has hired “trolls” disguised as pet owners to write letters in opposition to the college. We need a strong voice of unity to be heard above the noise.